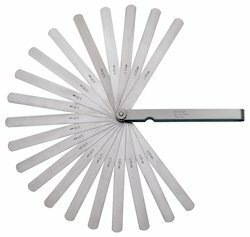 Providing you the best range of taper scale, plastic feeler gauge, plastic taper scale, combustion square, digital universal protractor and feeler gauge with effective & timely delivery. The taper gage is an internal gage in the shape of the frustum of a cone. It is used to measure internal tapers. It has wide application in design engineering, mechanical engineering and water flow engineering. The taper gage is an internalg agein the shape of the frustum of a cone. It is used to measure internal tapers. It has wide application in design engineering, mechanical engineering and water flow engineering. We are distributor & trader of Combustion Square. 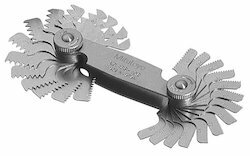 Three measuring heads are attached to the stainless steel rule (blade),allowing versatile measurements on various types of workpieces. The measuring heads are hardened. Economy sets not including a protractor head are also available. Square head: Used to set the rule at 90 degrees or 45degrees to an edge of a workpiece. 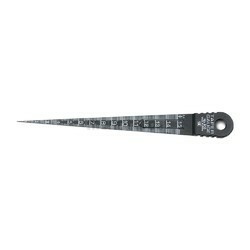 We are distributor & trader of Digital Universal Protractor. Data output function make it easy to see the statistical data. We are distributor & trader of Feeler Gauge. 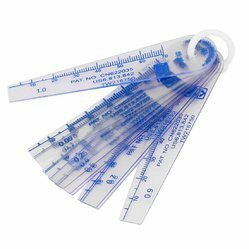 Metric thickness gages are available with tapered leaves. Each leaf is marked with its thickness. Each leaf is detachable if necessary. We are distributor & trader of Pitch Gauge. Thread pitch size is stamped on each gage. Metric,Unified,and Whitworth screw pitch gages. We are supplier & trader of Radius Gage. Radius size is stamped on each gage. Both concave and convex radius gages become a pair. We are supplier & trader of Spring Divider Calipers. Spring Divider — Fully hardened and tempered joints, spring, washers and divider points. 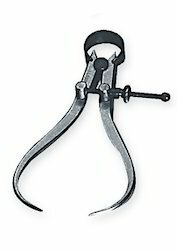 Outside Spring Caliper — Contact ends fully rounded to give accurate dimensions. Inside Spring Caliper — Ends fully rounded to give accurate contact with a workpiece. High precision glass scales manufactured under Mitutoyo’s leading-edge Linear Scale production technology. Ideal for checking magnification accuracy of profile projectors and microscopes, and the table feeding accuracy of measuring equipment.